The right to refuse to testify allows journalists to keep their sources confidential. The strength of that right, however, differs across the country. 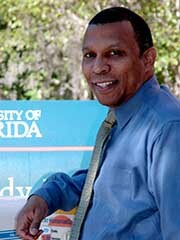 Laurence B. Alexander’s work on press privilege has turned him into an authority in the field. So influential is the journalism professor’s work that it has been cited and used in various scholarly law reviews and in state and federal appellate courts. The implications of his work go beyond the legal and into legislative and public policy arenas. For example, an article published in the Yale Law & Policy Review analyzed the difficulties that courts and policymakers have in deciding just who should be protected by the journalist’s privilege. Alexander is currently co-authorshing of a book on the law of news gathering.